Keck-II facility manager, Xinqi Chen, hosted staff from Thermo Fisher Scientific for talks and hands-on demonstrations of NUANCE's recently installed XPS instrument. 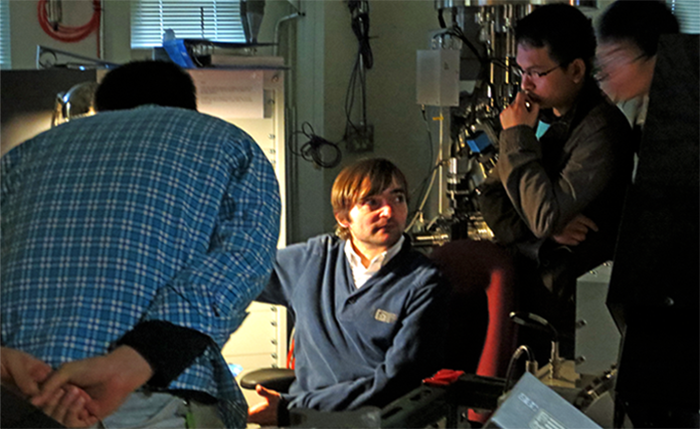 Keck-II facility manager, Xinqi Chen, introduces Thermo Fisher Scientific staff at Ryan Hall. 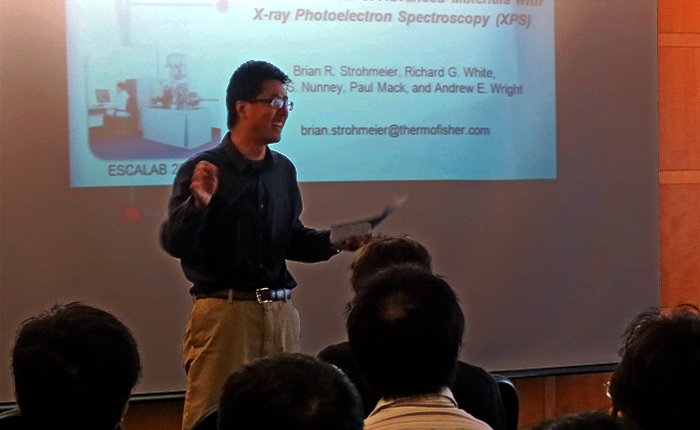 Thermo Fisher Scientific staff member, Paul Mack, Ph.D., demonstrates XPS instrument at Cook Hall.